This is a famous puzzle from the 1920â€™s. Once the stick and string are placed in a button hole, it seems impossible to get off! Can be quite mystifying and fun. 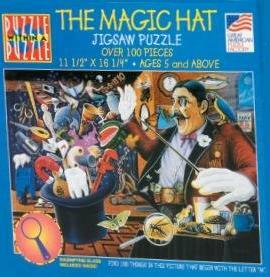 If you have ever heard the expression â€œyouâ€™ve been buttonholedâ€�, it came from this puzzle! It was first used by an insurance salesman to get a customerâ€™s attention. Each stick is about 3.5" long.